If you don’t have a jaw like David Coulthard and saliva glands like Niagra falls then these bars probably aren’t for you. I’m not fussy and don’t think any protein bar is ever that great but these are pretty poor. I think I could eat a dry scoop of whey and some dry oats quicker than these bars. Apart from that they’re spot on. I've been buying these regularly for the last 18 months and really enjoyed the taste and texture. I bought these after reading reviews about how soft and nice they are, some claim its the best they had, maybe it is for them, anyway I was looking forward to eating these so i ordered the choc peanut and raspberry flavour, boy was i dissapointed. 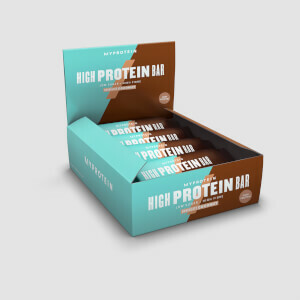 They did not taste like how i thought they would taste from reading the reviews, they tasted like all other protein bars that i have tasted, hard and dry and not very nice tasting. 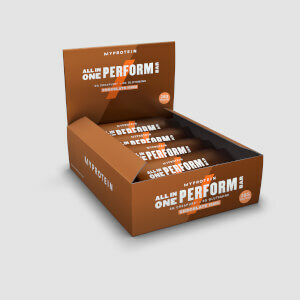 Yes they have plenty of protein and loads of calories in em (you probably burn 100 calories just from eating the bar) I've tried many brands of bars and still not found that ones taste nice and i don't thnk there will be any, i recommend you buy a sample first before buying the whole box. This is just my opinion, just cos I didn't like em doesn't mean you won't. Who's on your taste test panel?? Lots of liquid required to get through with current recipe. Had a box of these as part of a bundle package - was sent the chocolate chip - they fill you up quite well as a simple snack, although they take a lot of chewing and taste vile, I can't stomach them anymore and I've only eaten 2 bars. With the recipe change these bars have been ruined. They used to be really good but are now horrible. Extremely dry + synthetic tasting. If you were a fan of the old version of these don't bulk buy the new ones without testing them first. They are nowhere near as good as they used to be. MyProtein should probably remove the old reviews for these bars from this page as they don't reflect this new product. A warning to everyone who has bought these in the past, the new recipe is awful don't bother. The new bar is now very dry in comparison and difficult to chew, a lot less chocolatey, and the flavour has all but evaporated. At first I thought it was just the Chocolate Peanut version that had changed so tried a Chocolate Chip one, nope both as bad as one another. Now I have 1 box of Chocolate Peanut and 2 boxes of Chocolate Chip to suffer through, oh joy. By far my favourite protein bar I have ever tried! (and I tried a LOT). They are not too sweet (I have Chocolate Peanut flavour) and keep me going for hours. Because of their high carb content they work great as a pre or post workout snack. They are big and filling so I eat them as a meal! Love them. You should definitely get them. These protein bars are rock solid and have very little taste. And they are very dry and hard to swallow. Bring Back the Old Flapjacks! The MyProtein flapjack (before the rebrand) actually looked and tasted like a flapjack - they were great! Unfortunately, as soon as I saw what the rebranded flapjacks looked like, I knew I was going to be disappointed. I thought I'd give them a whirl and appreciated the fact the box contained 18 flapjacks, rather than the usual amount of 10 or 12 of similar products. However, the quantity was the only element of this product that was a positive! These "flapjacks" taste average at best (I opted for the chocolate chip flavour), very hard (I almost thought I was going to break a tooth trying snap bits off!) and just generally seem like effort to eat. 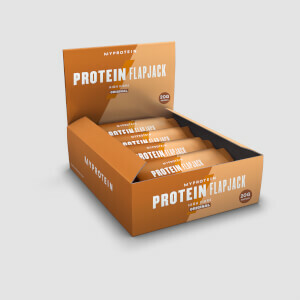 MyProtein bring back the old flapjacks! !